We can often overlook the importance of a mattress when it comes to the quality of sleep for our children. A mattress should be like a well made pair of shoes. You wouldn’t put your children in cheap, ill fitting shoes knowing they wear them for around eight hours a day. 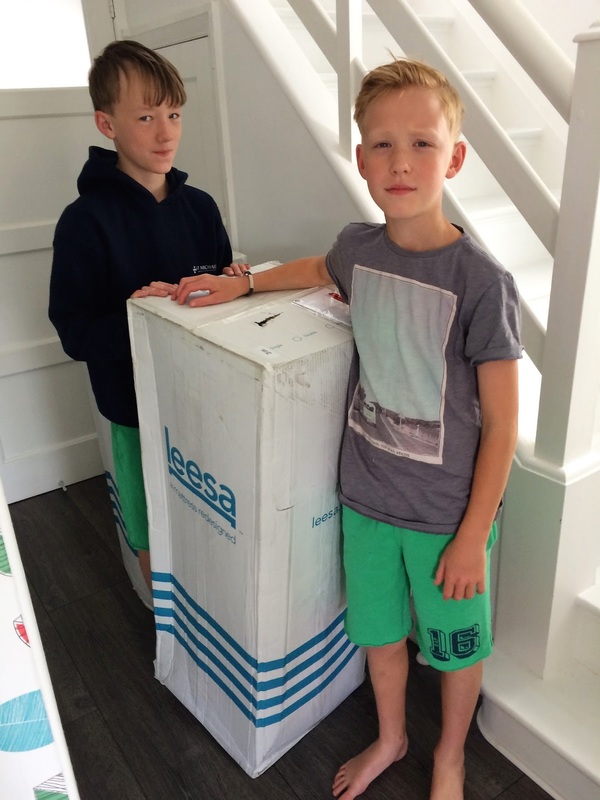 The same has to be said for the mattress they sleep on (for just as long if we are lucky), so when we were offered the innovative luxury Leesa mattresses for the twins we were more than just a little thrilled. Having reviewed the king size mattress ourselves (you can read all the detail HERE ) and had more than one or two nights with the boys sneaking into our newly super comfy bed we already knew they were in for a treat. 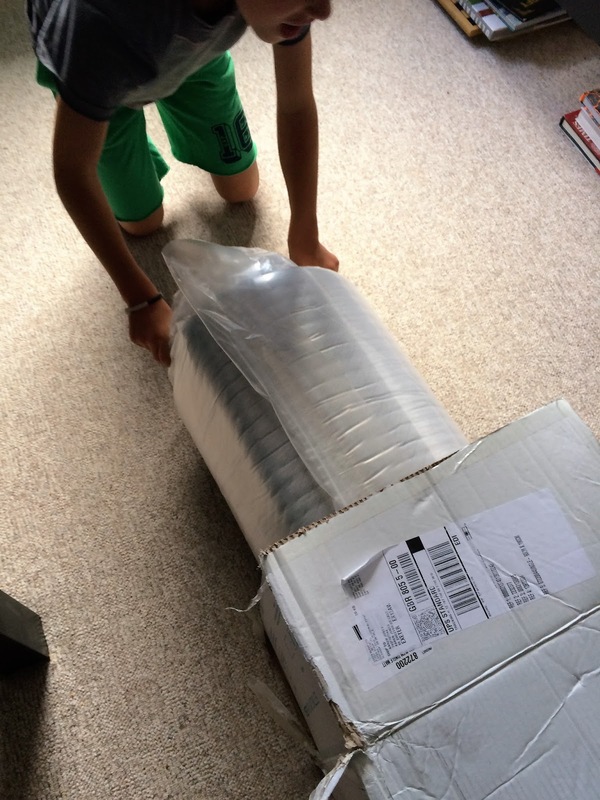 The mattresses arrive in boxes ! 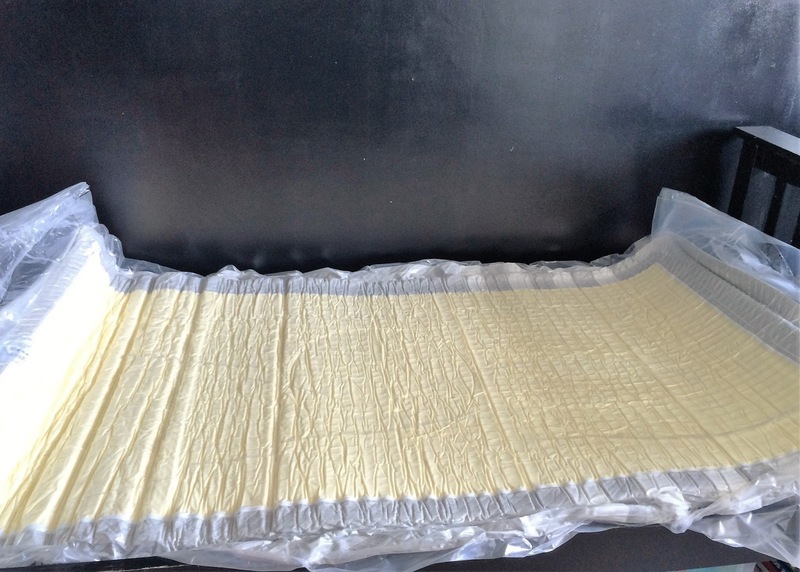 How cool is that, still can’t get over the fact that Leesa mattresses come shrink wrapped . 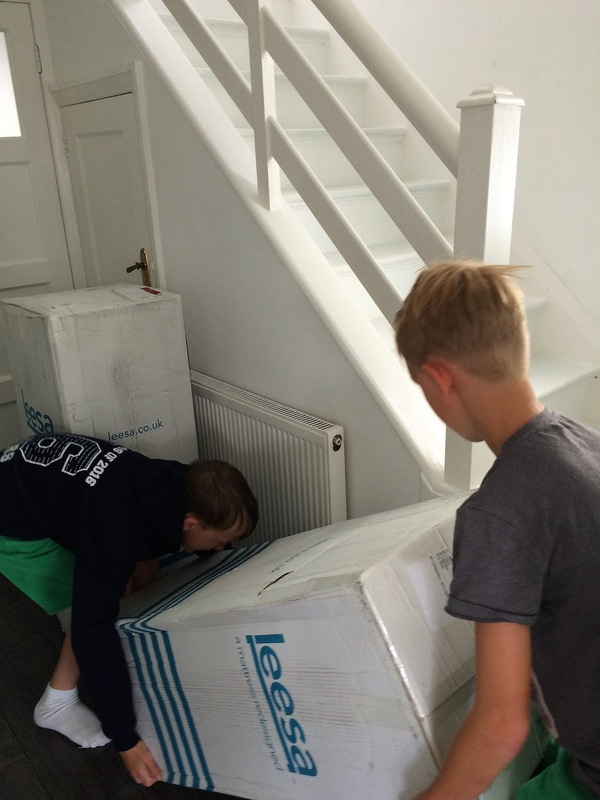 As dad was at work the twins offered to carry the boxes upstairs to prove that delivery and installation of Leesa mattresses truly is child’s play. 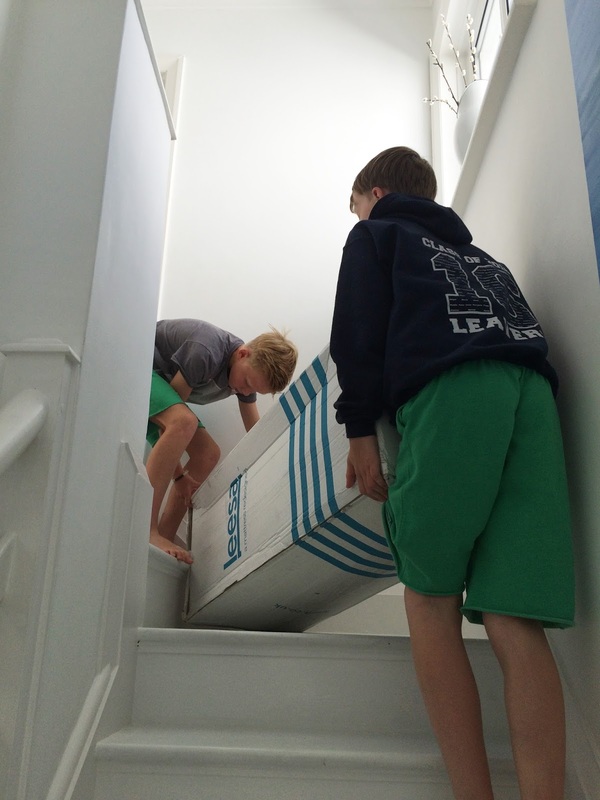 Weighing just 20kg each for the single mattress and arriving compressed into a box the boys were eager to get the mattresses upstairs and onto their beds. We can do this ! OK so here we go. 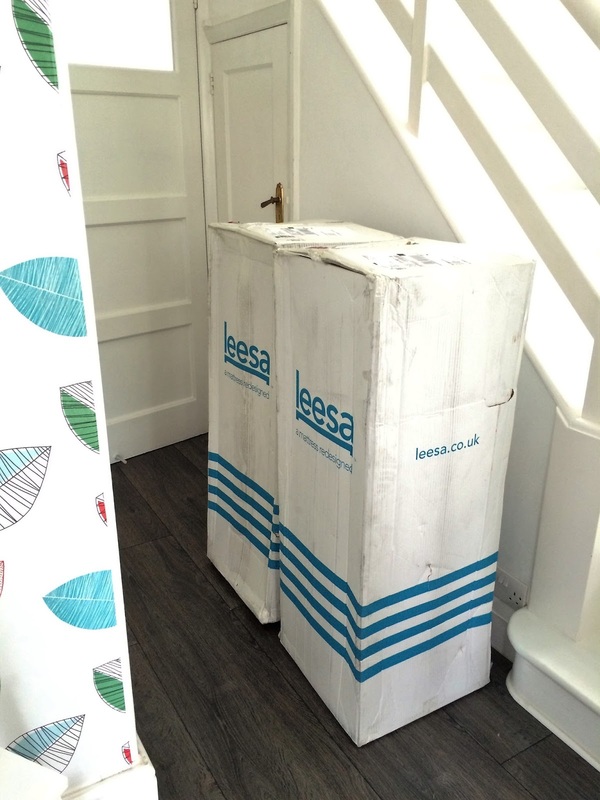 All Leesa mattresses are delivered within 4 – 7 working days of you placing your order and all arrive in the same size box measuring 40cm x 40cm x 106 cm . One adult can manoeuvre them but it might help to have a friend. The boxes also have hand holes in the sides to make it just a little easier to pick up. Lot of giggling and a few rest stops but they managed them both in the end. 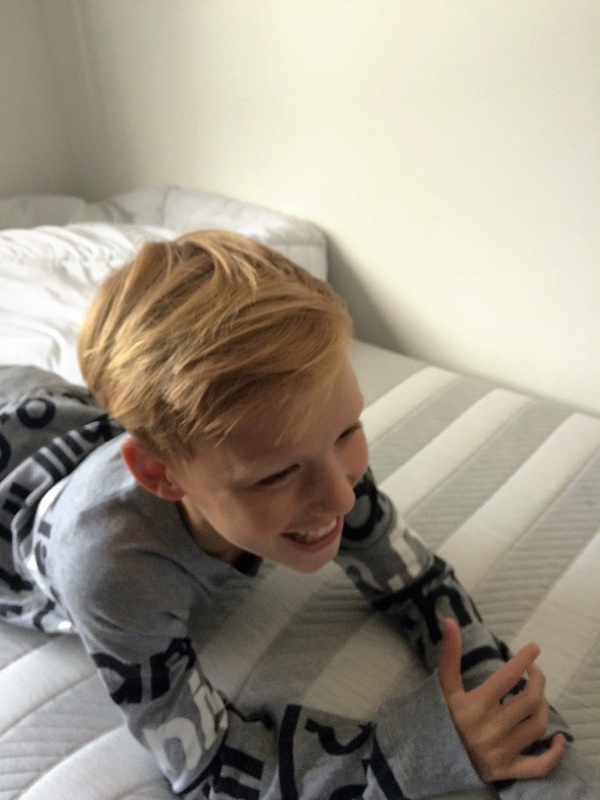 Knowing what to expect from a Leesa mattress, Jarvis was already a little in love with his ! Both the twins were really excited to be getting their own super comfy mattresses, It bought home to me just how overlooked this aspect of our life and health had been in the past. 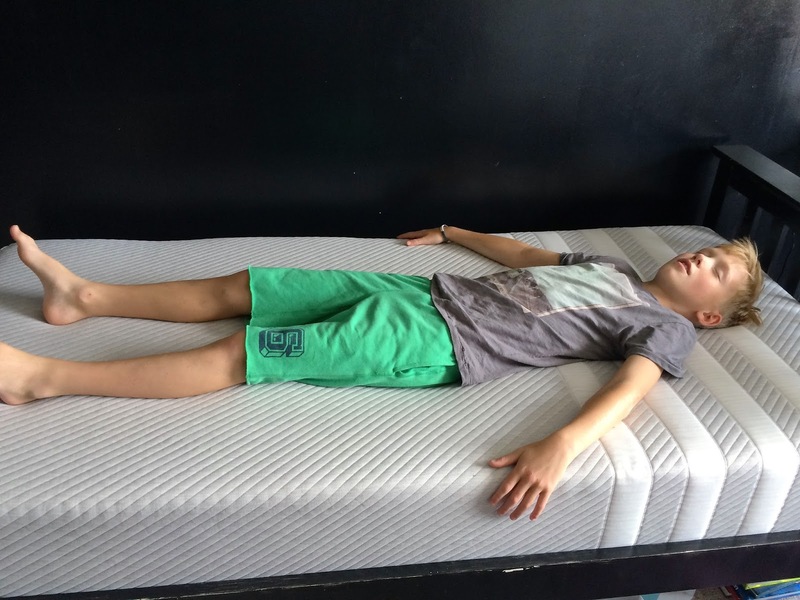 Most of us realise that quality sleep is essential to happy , healthy children but how many of us ever really consider the mattress our children are lying on ? 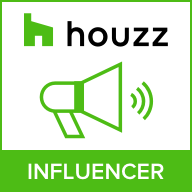 Buying quality mattresses was not something we had ever given much thought to in the past. Of course you do your research when it comes to cots when the children are first born and you look into all the safety concerns for babies and toddlers, but most of us don’t give much though to mattresses for our children once they move into single beds. 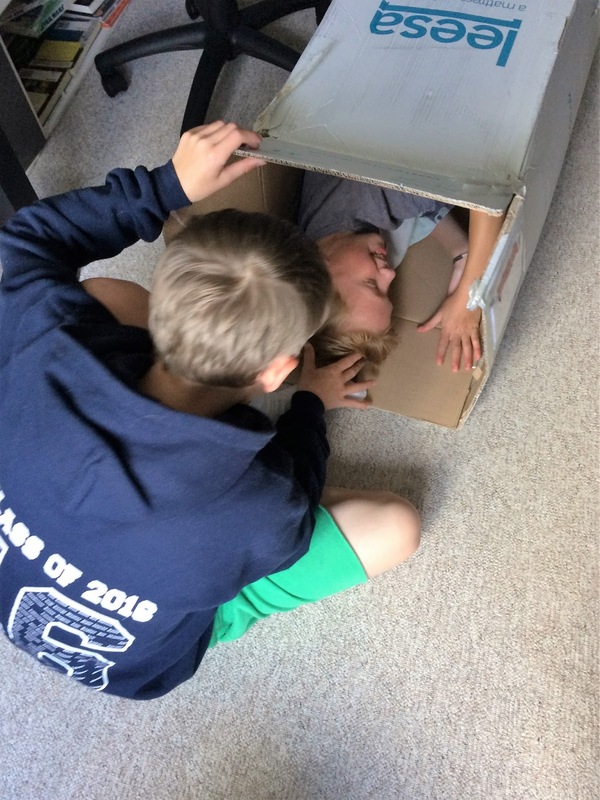 My twins have had their fair share of broken sleep over the years and also complained of aches and pains which we often put down to growing pains. I do wonder now how much of that discomfort was due to the poor quality mattresses they slept on. Approximately one hour after removing the shrink wrap this is one twin who couldn’t wait for a lie down ! All that’s left to do now is have a play with the boxes. If you have enjoyed my posts and would like to try a 100 day money back trial of the Leesa mattress for yourself , you can order HERE using my code for a discount. With very many thanks to Leesa . This was a collaborative post but all views and words are my own. Great post. I love my Leesa mattress! I've never really thought about mattresses for kids and now I feel guilty. 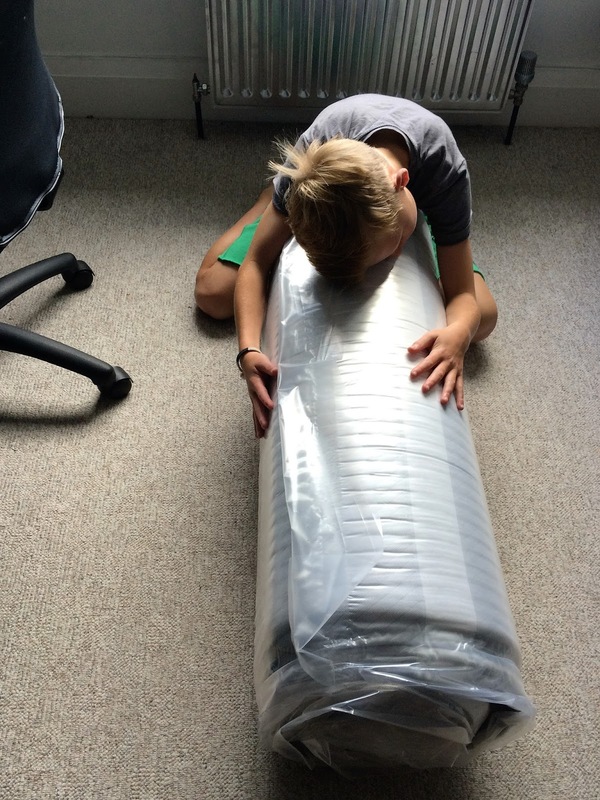 Why shouldn't kids need a decent mattress just like we do. Their quality of sleep is just as important. I bet your boys love their new mattresses.